Nick Eggenhofer was born in Gauting, southern Bavaria, Germany in 1897. He grew up in Germany, familiar with horses and playing "Cowboys and Indians" at the same age as children in America, due to a European craze inspired by Buffalo Bill's continental tours with his Wild West show. 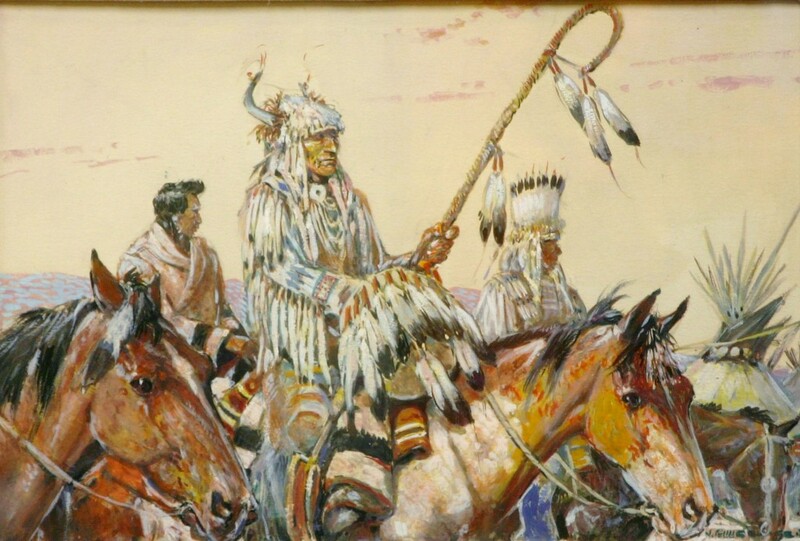 He also saw Western movies and Remington and Russell works reproduced in German magazines. He came to New York in 1913 and began four years of night classes at Cooper Union and held a variety of jobs including an apprenticeship at the American Lithography Company. Eggenhofer decided to become a Western artist, preparing by making scale models of wagons, stagecoaches, and other props for his paintings. His first illustration was sold in 1920 to Western Story Magazine of Street & Smith, the pulp publishers. In 1925 Eggenhofer married and traveled out west in a model T. Even then he saw a ten-horse trader and mail delivered by buckboard. 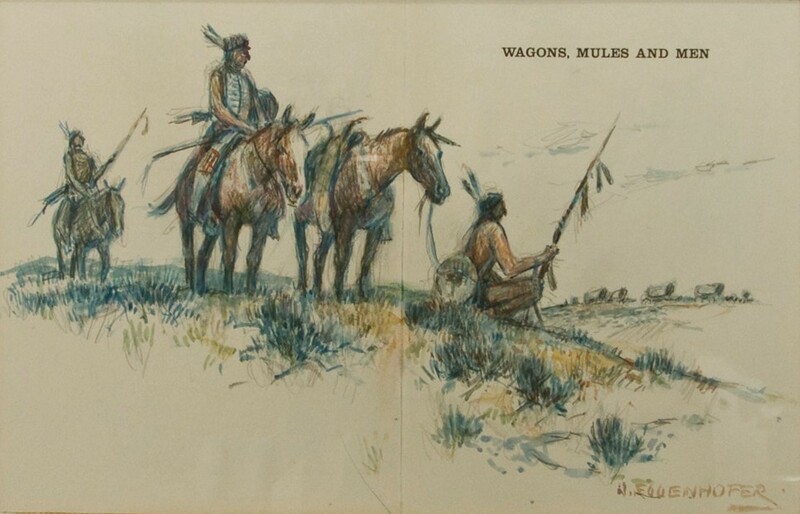 Inspired by his travels, he began doing illustrations for many Western books and magazines. In 1961 he wrote and illustrated his own book Wagons, Mules and Men. 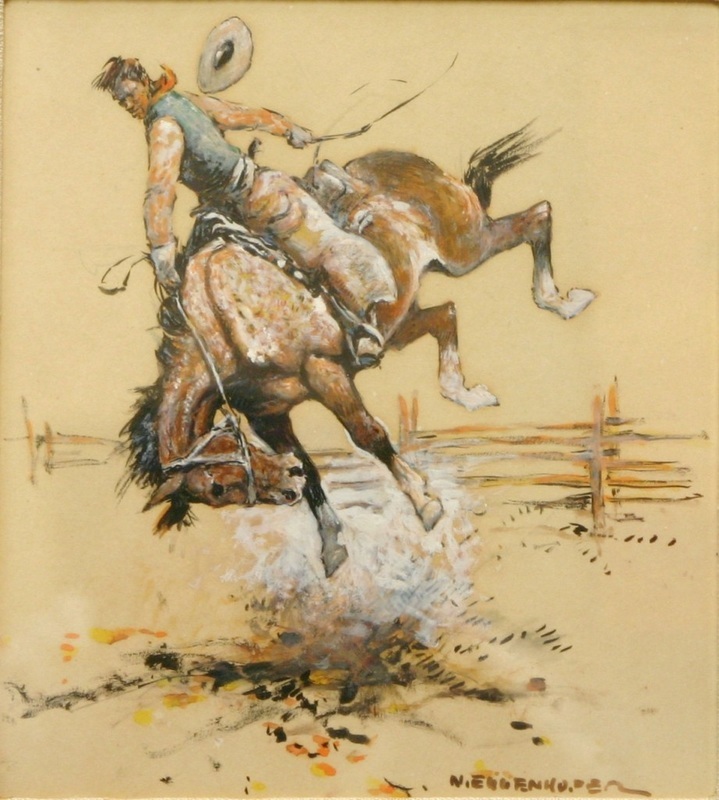 In the early 1960's, Eggenhofer moved to Cody, saying "The West got hold of me at a very early age and hasn't turned loose yet." 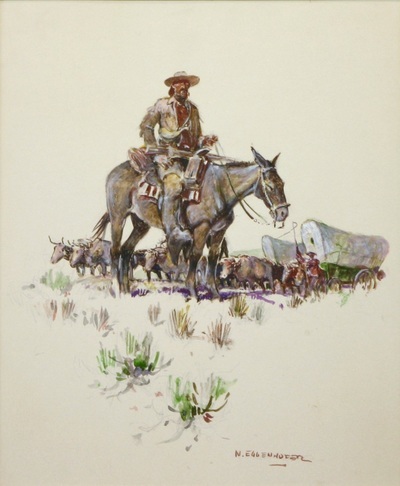 He is in the forefront of those who portray the wagon-train era of America and has won top prize at the Cowboy Hall of Fame. In 1971 it was said that he had made more than 30,000 illustrations. 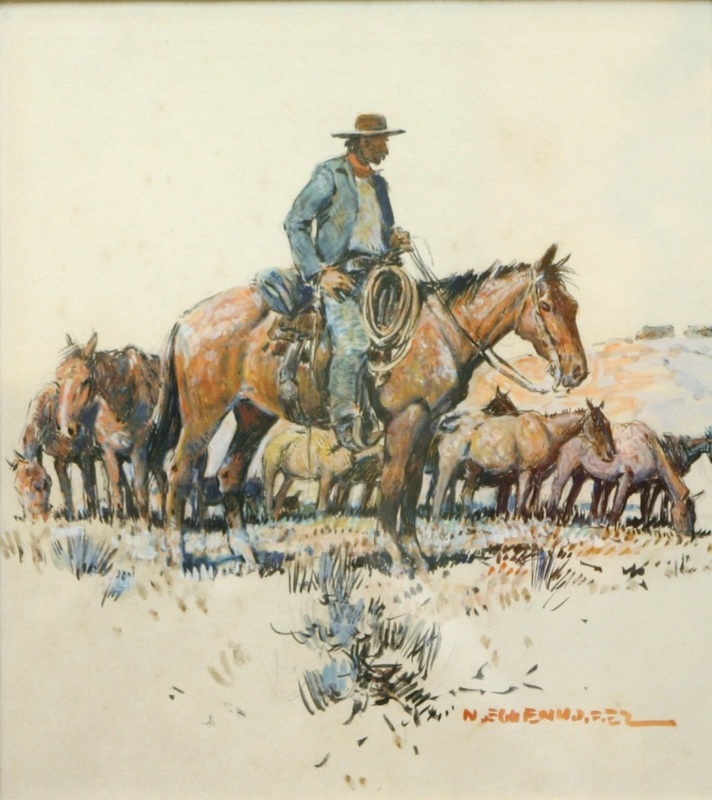 Eggenhofer was both a member of The Cowboy Artists of America and the National Academy of Western Art. 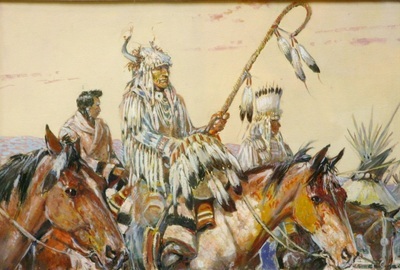 He died in Cody, Wyoming in 1985 at the age of 88. His works are held by the National Cowboy Hall of Fame and many important private collections.